Detailed information can be found on the relevant pages in this site and if you would like to arrange a visit, please get in touch with us. Aerial video production courtesy of CineMedia Ltd. ©2017 | All rights reserved. Grey Abbey House is a fine Georgian house overlooking Strangford Lough on the Ards Peninsular, County Down. The Estate has remained in the Montgomery family for over 400 years. A wide variety of trees, shrubs and plants thrive in Grey Abbey's gardens which include a walled vegetable garden, shrub rose borders, orchards and a Southern Hemisphere garden. The grounds adjoin the ruins of a Cistercian abbey, and the surrounding estate encompasses ancient woodland, a slate quarry, a lake and what is believed to be one of the first landscaped parks in Ireland. Grey Abbey is situated on the Ards Peninsula in Co. Down, Northern Ireland. The estate has been in the possession of the Montgomery family since 1607, when Sir Hugh Montgomery (later 1st Viscount Montgomery of The Great Ards) arrived in Co. Down from lowland Scotland. 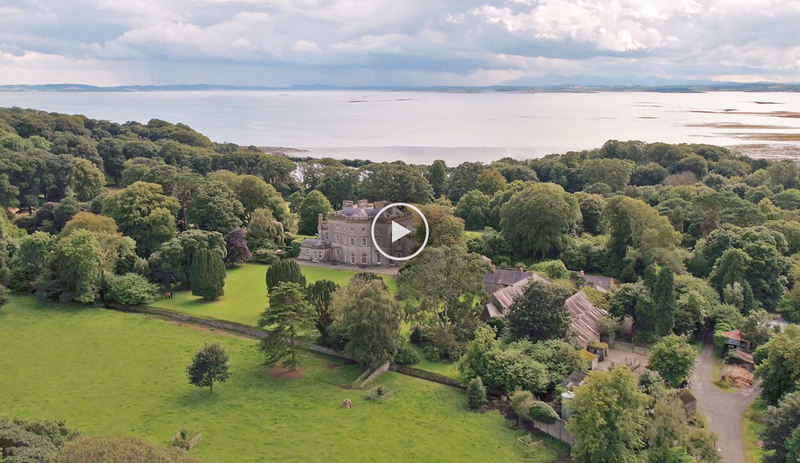 The present house, built in 1762, is the third to be built on the site overlooking Strangford Lough and comprises many interesting architectural features and fine 18th century plasterwork. Strangford Lough is a designated area of 'Special Scientific Interest' (SSI) and 'Area of Outstanding Natural Beauty' (AONB). The temperate climate supports a diverse flora and fauna on the Grey Abbey Estate. The Ards Peninsula is popular with bird watchers and other naturalists, due to its propensity of migratory and resident birds. Thinking of visiting Grey Abbey House & Gardens?